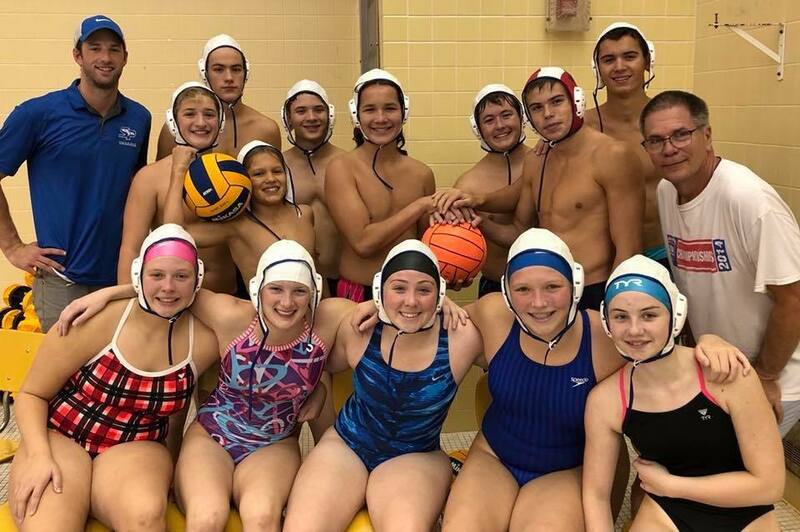 Get over the the swim pool at Chartiers Valley on Tuesday, January 22, 2019, from 7:30 to 9 pm for some water polo play with an out-of-town college team. If you can attend, call or text with Coach Mark, 412-298-3432. Also see the news on the Renegades.4Rs.org site. Next SKWIM events at Moon are on Sundays, Nov 11, Dec 2, Dec 23 and Dec 30, 2018. Other events are at Mt. Lebo on Friday evenings. 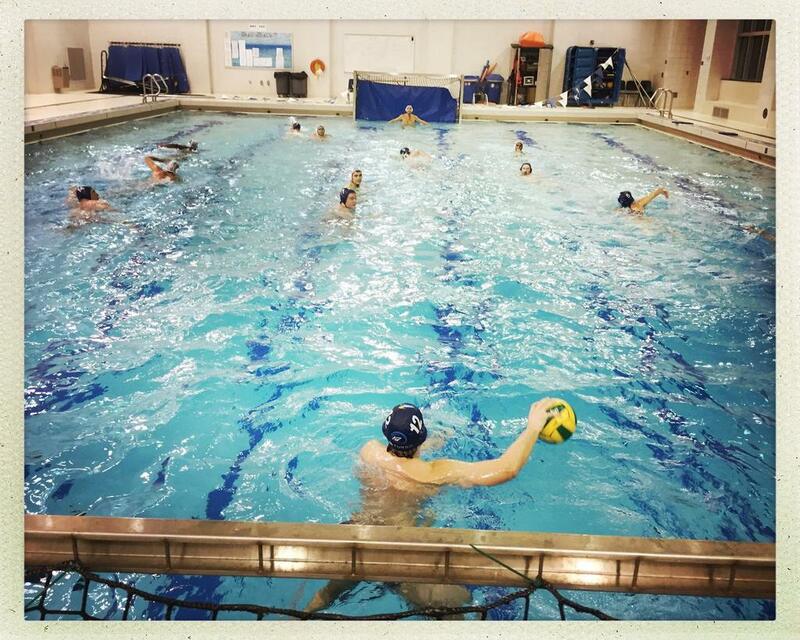 SKWIM, like water polo but without the contact and much easier for the new players. 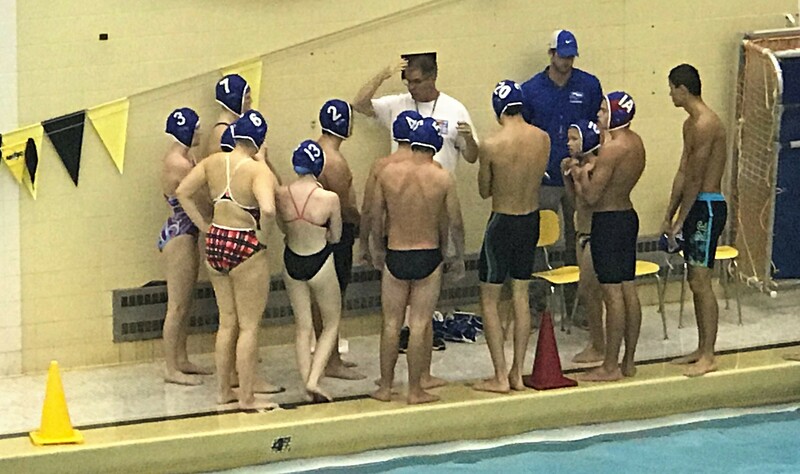 Kids and adults that learn and enjoy SKWIM can be prepared to make a smooth transition to water polo in the months and years to come, if they desire. Help us launch new community programs at the wonderful, recently opened, indoor swim facilities at Moon High School. 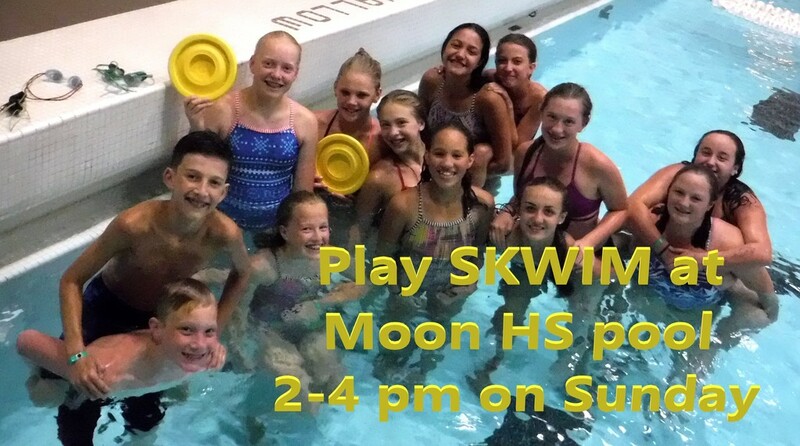 Who else wants to join us at the community SKWIM games at Moon High School pool on Sunday(s) from 2-4 pm? Great fun and fitness. 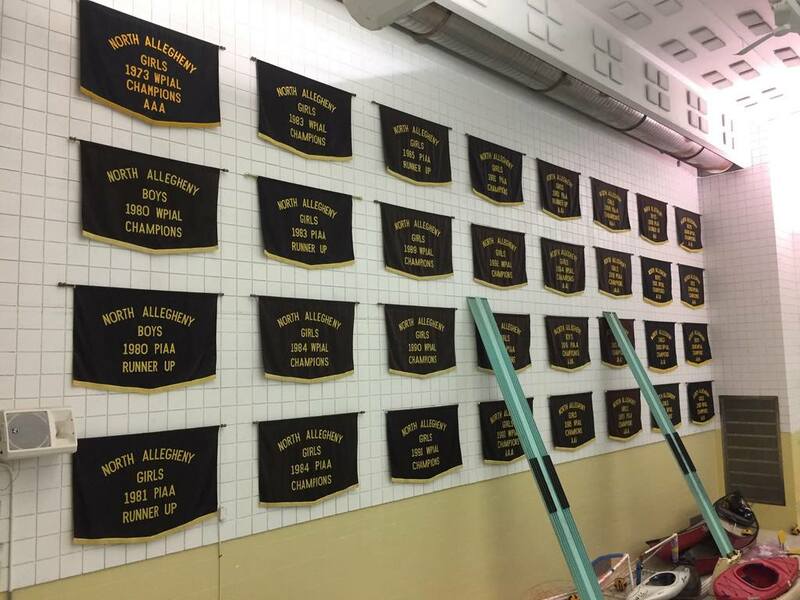 SKWIM's new sites in Western Pennsylvania are in the high school pools in Mt. Lebanon and Moon. Team photo after our first two games of the new year. 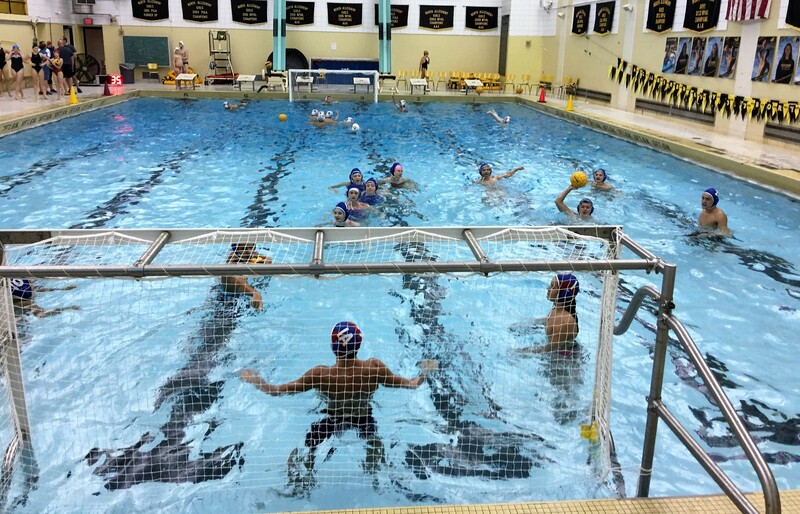 Lots of players enjoyed their first encounters with water polo in their first games on Sunday as the Pittsburgh Combined squad was able to fill a slot in the weekend action hosted at North Allegheny Senior High School in Sunday’s play with two games with Cumberland Valley. 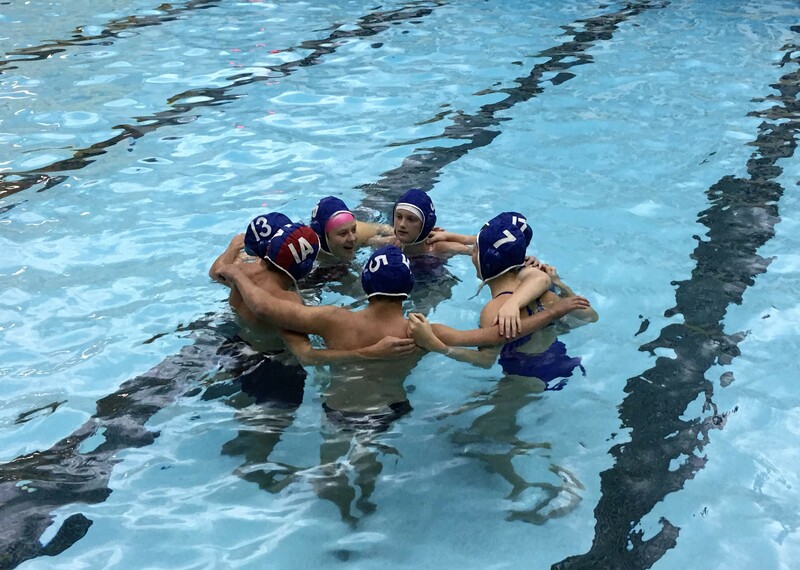 Only three of the players had prior water polo game experience. The team played in two games, both with 12-minute halves, running clock. One was with the CV boys and the second was with the CV girls. Spread some social media love with a Tweet! Click below. Pregame warm-up in the NA pool. Are you ready? We're here to have fun and get some experience playing another team that is going to understand how to counter-attack. New friends. What are we doing? Moving beyond our comfort zone, untied. Pittsburgh’s masters water polo team has been invited to join the Pittsburgh Combined teams for a game day at 7:30 pm on Thursday, September 27, 2018. However, everyone who plays needs to be a current member of American Water Polo. Sign up with the team, Pittsburgh Renegades. Without being a member, you won’t be able to play. 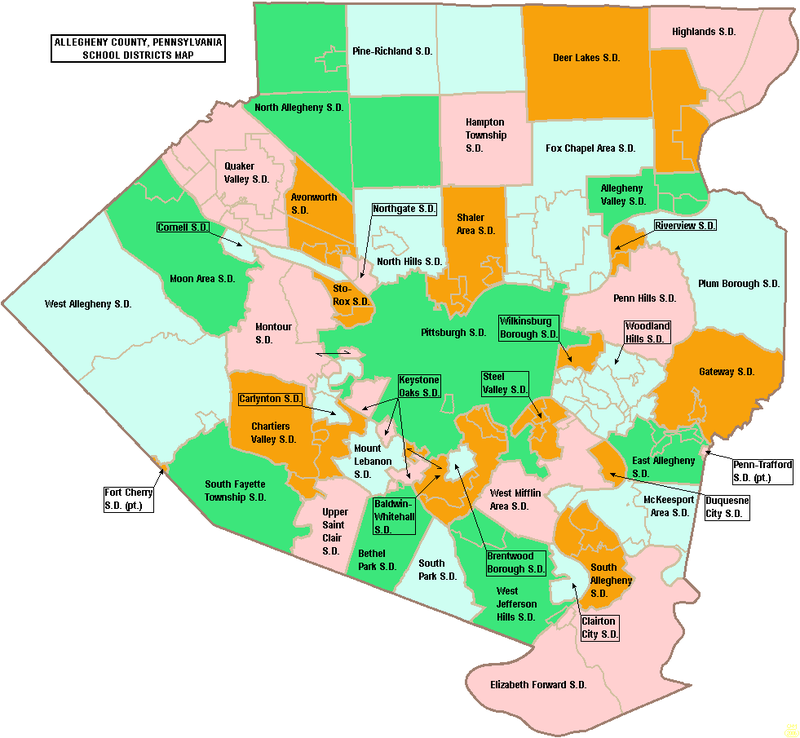 The membership is visible on mobile devices. The Redegades squad did hold a few practices, along with CMU players, in the fall of 2017. However, at that time, there were not any youth water polo players at South Park. Even if only five or so players attend, the evening practice will still be a success. The Pittsburgh Combined team has averaged about 8 players per practice, and the numbers are growing. So, getting a few more players should insure a full-pool scrimmage. Our first game is at 11 am. Be there, ready to play about 10:45 am. North Allegheny Senior High School swim pool. Park between the football field and the school. Enter on the side door of the school. Go downstairs to the pool locker-rooms and pool deck.